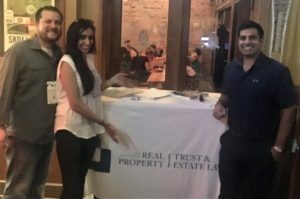 Attorneys from the Real Property Trust & Estate Section for the American Bar Association came together for a special networking event while in the Windy City this month. The event, co-planned by KPPB LAW Commercial Real Estate Transactions Attorney Josh Crowfoot (liaison for the Real Property Trust & Estate section of the ABA) and his section colleagues brought together more than 70 members of the Young Lawyer’s Division of the ABA to cross-connect and network while in Chicago. For more information about the American Bar Association, www.americanbar.org.